Christmas is coming! Ho Ho Ho! 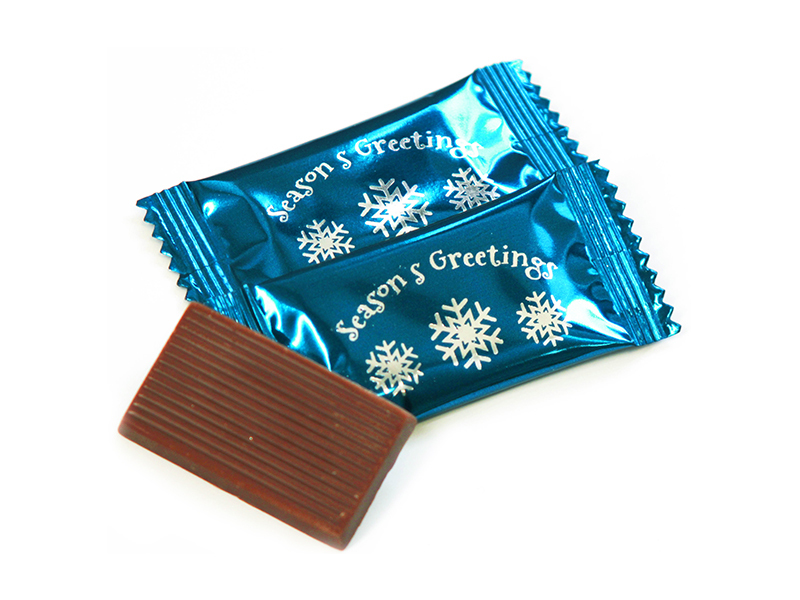 We have a great range of delicious chocolates and confectionery available to help you spread the Christmas & New Year cheer… with holiday messaging, “Merry Christmas” or “Season’s Greetings”, to surprise, delight, gift and thank your customers at this special time of year. 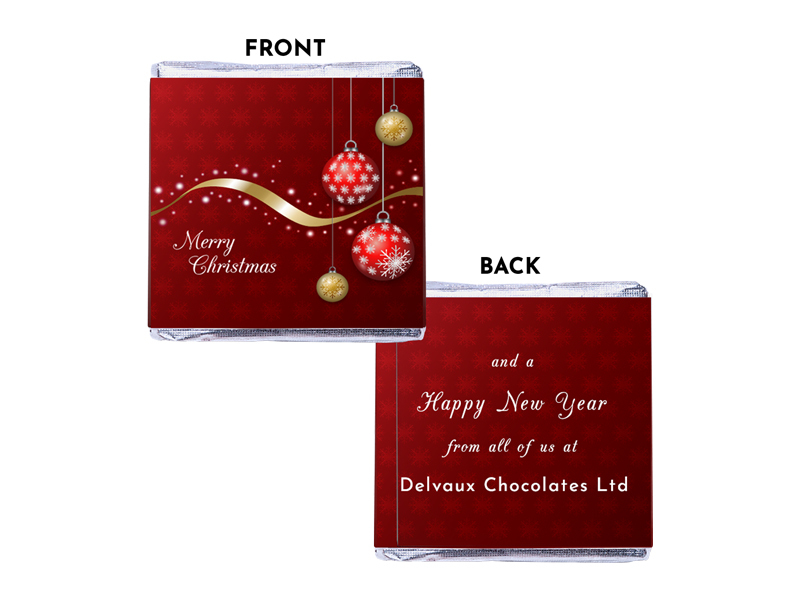 Tasty squares of Milk Orange chocolate sealed in a silver inner foil with a white outer paper wrapper printed with the message “Merry Christmas” and festive baubles on a red background. 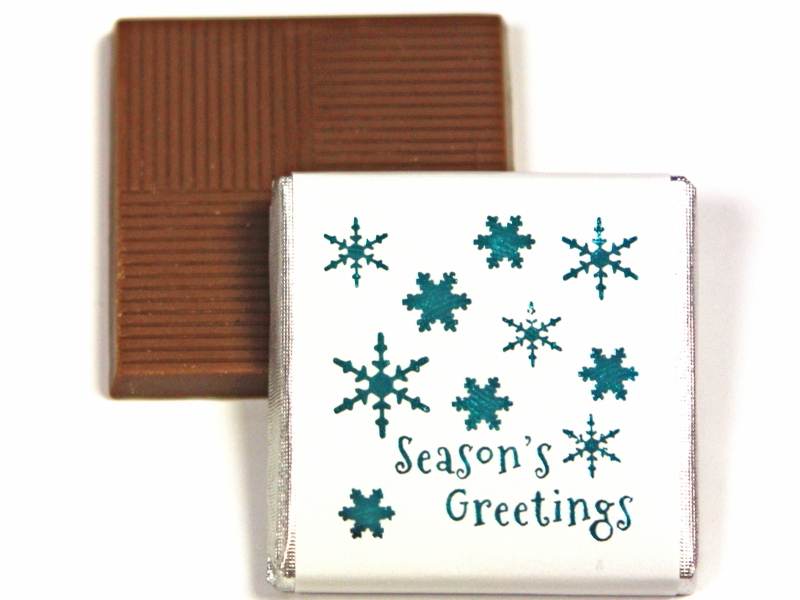 The full colour wrapper can be personalised with your business or trading name on the back. The message will read: “Merry Christmas and a Happy New Year from all of us at YOUR NAME HERE”. 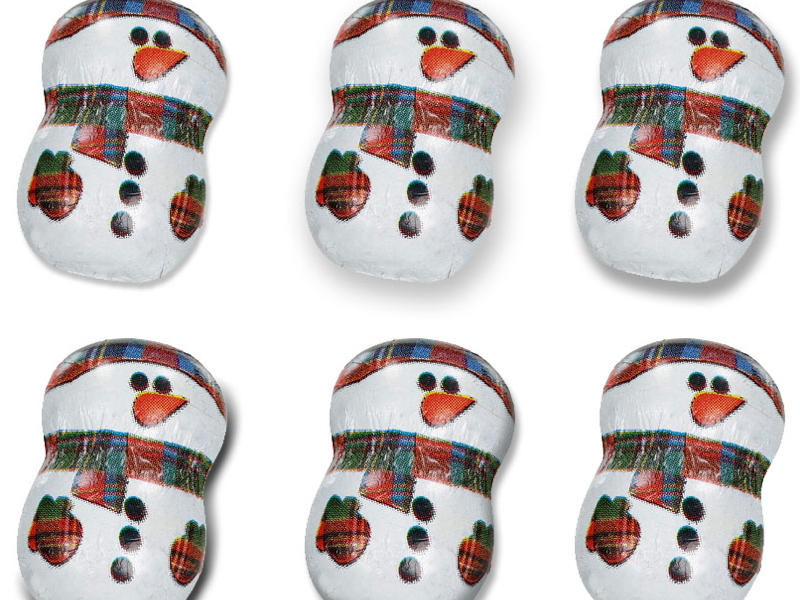 £49.50 (ex Vat) per 500 Chocolates. 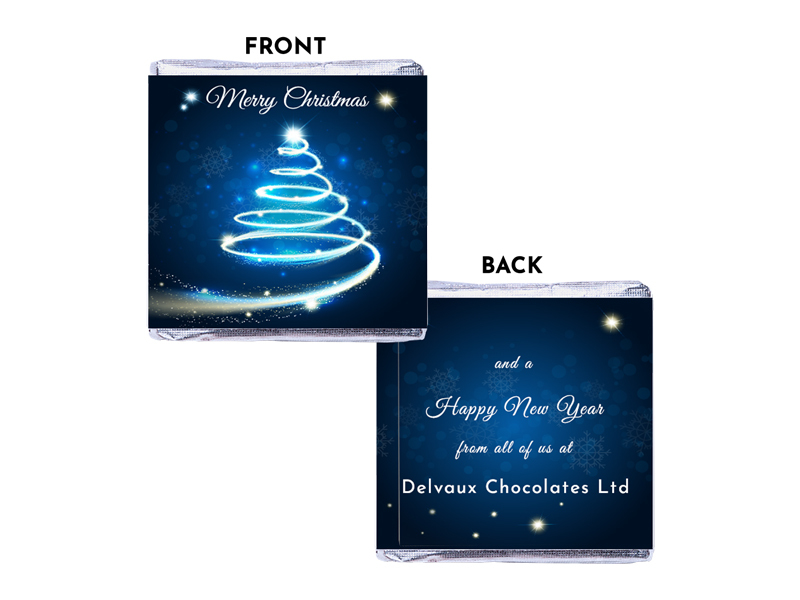 Delicious squares of Milk Mint chocolate sealed in a silver inner foil with a white outer paper wrapper printed with the message “Merry Christmas” and blue tree on a dark blue background. 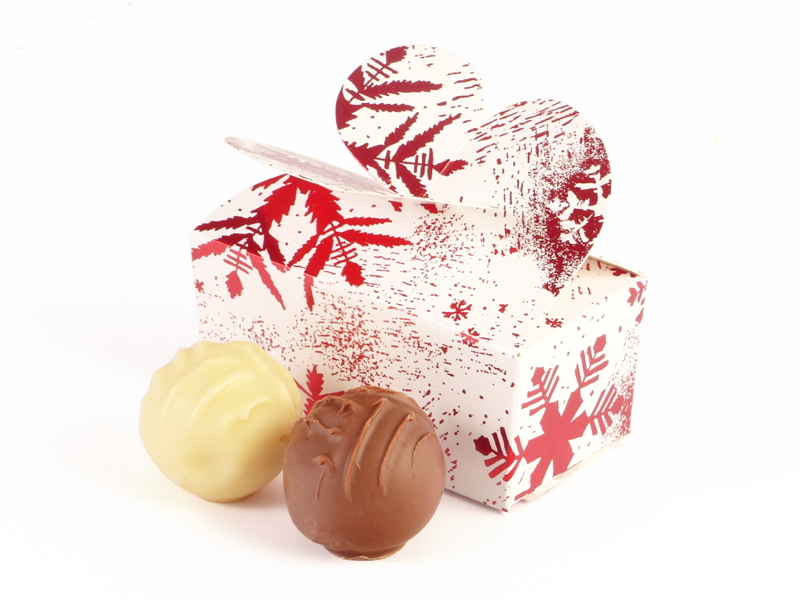 In a festive box – available in Cream/Gold (code: BOXC) or White/Red (code: BOXW). £1.50 per box, minimum 50 boxes. £19.50 per 1kg box (approx 100 per bag). 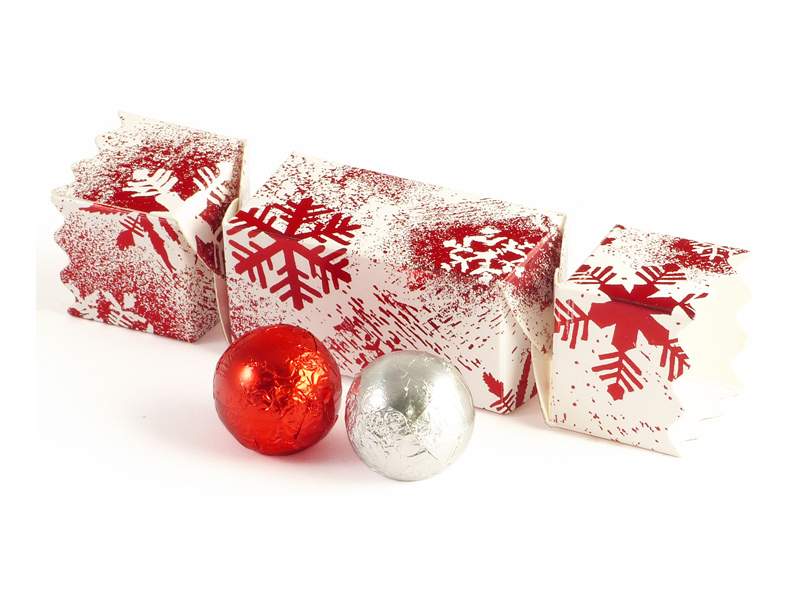 In a Christmas Cracker box – available in Silver (code: BCXS) or Silver (code: BCXS). £1.40 per cracker, minimum 50 boxes. In a gold and black flow-wrapper (code: HUMXB). 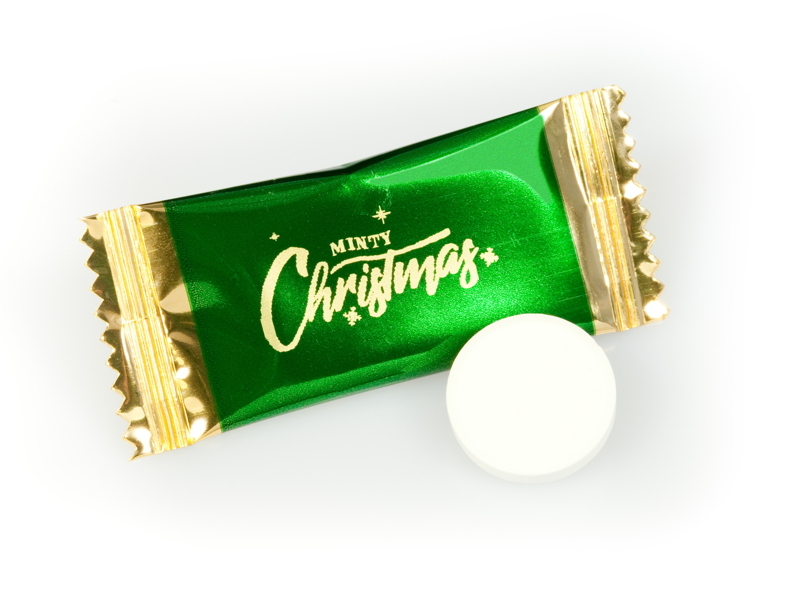 In a white paper wrapper and silver inner foil. 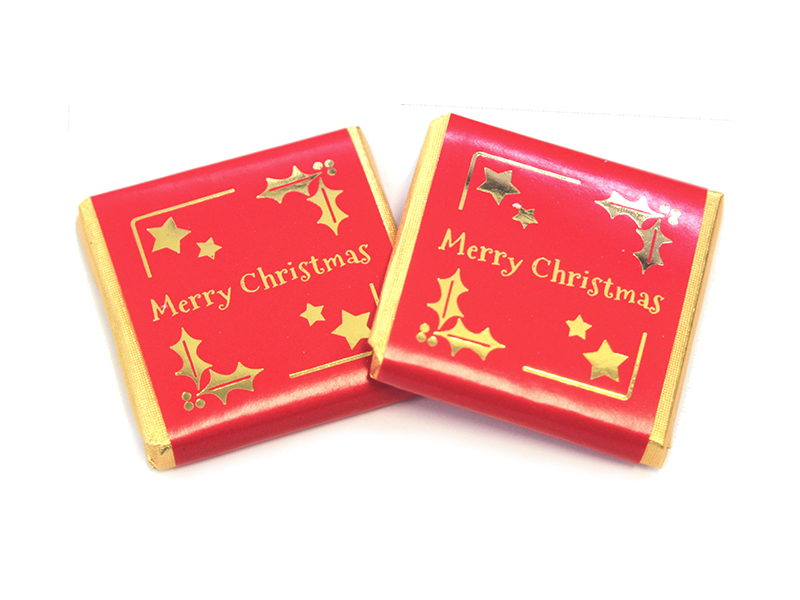 In a red paper wrapper and gold inner foil. 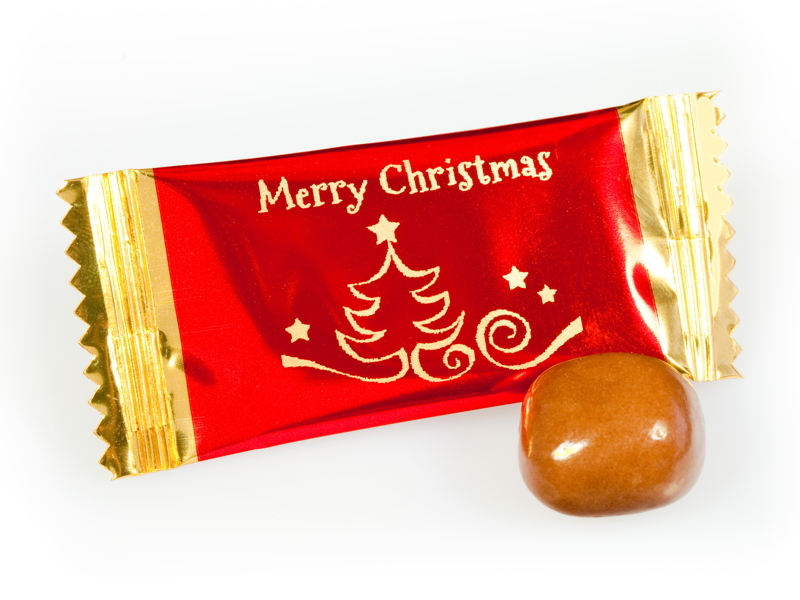 In a red and gold flow-wrapper. 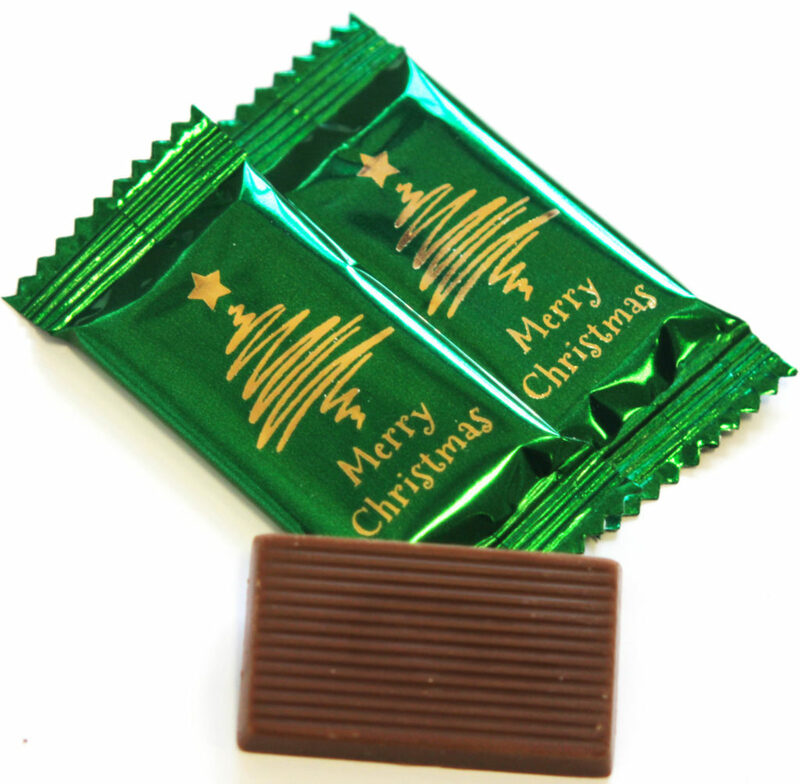 In a green and gold flow-wrapper. 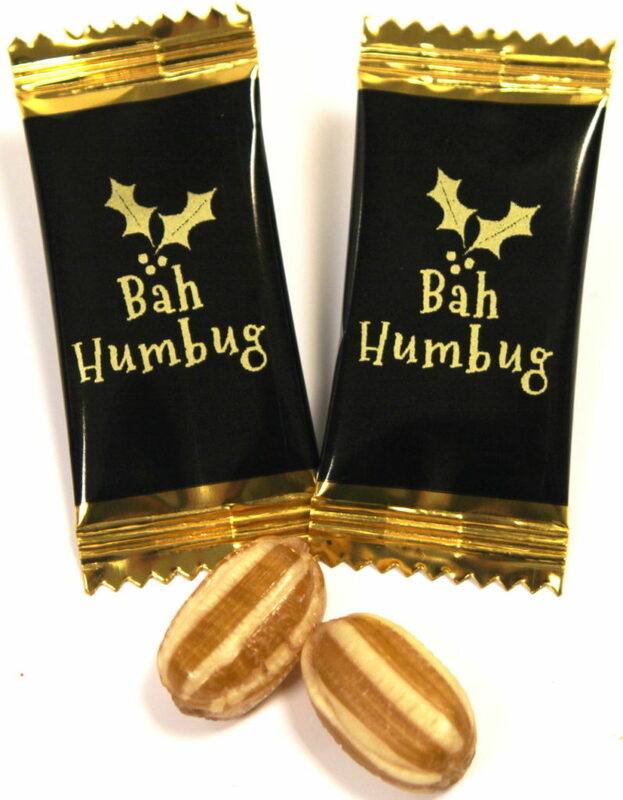 Fantastic gift bags in different colours for presenting customers with a small collection of Chocolates or Sweets. £8.99 for 100 Small bags, £9.99 for 100 Medium bags. 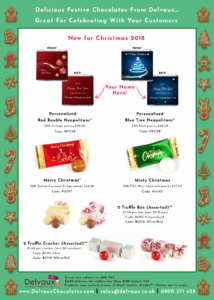 Please call Richard on 01932 571180 to order, or email us.